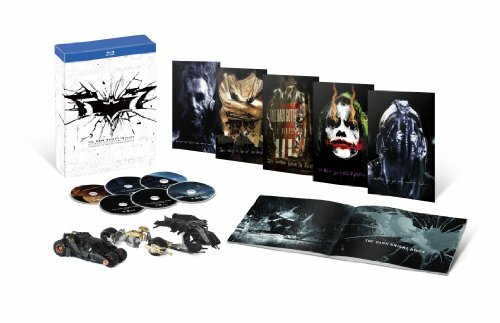 The Fire Rises: The Creation and Impact of The Dark Knight Trilogy: The inside perspective on the fascinating story behind the creation of one of the most celebrated franchises and how it changed the scope of movie making… forever. Full of never-before-seen footage, rare moments, and exclusive interviews with Guillermo Del Toro, Damon Lindelof, Michael Mann, Richard Roeper, Zack Snyder and others. Christopher Nolan & Richard Donner: A Conversation: For the first time, Directors Christopher Nolan (The Dark Knight Trilogy) and Richard Donner (Superman) sit down to discuss the trials and triumphs involved in bringing the two most iconic superheroes of all time to the big screen, and how Superman influenced Nolan when developing Batman Begins. IMAX Sequences: The Dark Knight; The Dark Knight Rises: See your favorite scenes as they were intended in the original IMAX aspect ratio. Copyright © ジユウメモメモ, All rights reserved.